In my house, not everyone comes for dinner when called. “It’s dinner time! Come for dinner!” I’ll call up the stairs, but only a spattering of children materializes in the kitchen—maybe three or four, but where are all the others? So I have to search the house to find them in various corners, engrossed in some activity—reading, building something, or typing something on their laptop. They’ve ignored my summons, or didn’t “hear” it. A wave of frustration sweeps over me, tempered by memories of having been the same way when I was their age. Then the words pass my lips: “Drop what you’re doing and come now!” We can’t postpone dinner indefinitely for everyone to finish their pet project before coming to eat. “Drop what you’re doing and come now!” fairly well summarizes the urgency of the call to repentance that forms the major theme of the Readings for the Third Sunday in Ordinary Time. The Scriptures have been chosen to emphasize the immediate response to the call of God. The Book of Jonah is clearly an exception among the minor prophets. While the other books record the oracles of their namesake seer, the Book of Jonah consists of an historical narrative about the prophet’s mission to Ninevah and its aftermath. It records only one prophetic oracle, a half-verse in length (Jon 3:4b). The story of Jonah has captured the imagination of popular piety through the ages because of the fantastic account of the prophet being swallowed by a great fish and subsequently vomited up alive. However, the account of the fish is only supplemental to the main theological thrust of the book, which concerns God’s grace and forgiveness toward the Gentiles (that is, toward all humanity). The prophet Jonah is an historical figure who ministered during the reign of Jeroboam II of Israel (783-743 BC), during which he prophesied the expansion of the northern kingdom to its Solomonic boundaries (2 Kings 14:25). Jonah seems to have been identified with Israelite nationalism; thus, his commission from God to preach repentance to northern Israel’s greatest foe (Ninevah) in Jon 1:2 provokes a strong negative reaction from the prophet (Jon 1:3). Particularly notable throughout the book is the contrast between Jonah and the Gentiles in their response to God. Jonah, the Israelite prophet, willfully defies God’s express will for his life by sailing for Tarshish. The Gentile sailors, on the other hand, actively seek to find out the will of God. They have to wake the prophet and urge him to pray. Even when they discover that he has thoughtlessly endangered the entire crew and cargo by making them complicit in his defiance against the divinity, the sailors show humanitarian concern for Jonah’s welfare and attempt to row ashore to save the cursed man’s life. Only with great reluctance do they cast him overboard, and then they piously offer sacrifice to the God of Israel in gratitude for their salvation. Again, the response of the Ninevites is similar. Jonah’s preaching gives them no hope for salvation, it’s just an absolute statement of imminent destruction: “Forty more days and Nineveh will be destroyed!” Though given no reason for hope from the prophet himself, they engage in a mass repentance the like of which was scarcely ever seen in Israel itself. They immediately throw themselves on the mercy of the LORD God of Israel, while the prophet himself becomes enraged with God and pleads for death. Ironically, the Ninevites are being upheld in Jonah 3 as examples of the kind of immediate repentance that is appropriate when we hear the word of God. 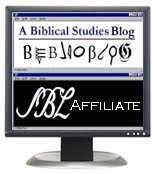 The central theological thesis of the Book is that the LORD is the God of the Gentiles, too. Throughout the narrative, God demonstrates his sovereignty over both human and natural affairs, both within and without the land of Israel. The LORD God shows absolute control over the weather, the sea, the monsters of the deep, the vine, and the course of history in foreign lands. All these arenas were the domains of specific gods in pagan thought: the weather was controlled by Ba’al (Jupiter/Zeus), the sea by Yam (Neptune/Poseidon), the depths by Tiamat or Mot (Pluto/Hades), etc. In the Book of Jonah, however, there is no hint of the existence of any of these deities, much of less of their opposition to God. Rather, all nature and human history follows the will of the LORD with docility, who sovereignly “appoints” (Heb. manah; 2:1; 4:6,7,8) creatures to do his bidding. Moreover, human beings far outside the orbit of Israel—pagan sailors and Assyrian commoners—respond to the LORD with repentance and worship. Selections from Jonah 3 are read in the Liturgy of the Word on a handful of occasions in which the themes of repentance, forgiveness of sin, and conversion of the Gentiles are appropriate. Jonah 3:1-5,10 is read in this Sunday (Year B on the 3rd Sunday of Ordinary Time) to set up a parallel with the opening of Jesus’ preaching mission in Mark 1:14-20. Between Jonah and Jesus we see both comparisons and contrasts: they share a prophetic role and their message(s) elicit repentance. But Jonah’s message is one of pure threat, whereas Jesus calls his hearers to enter the “kingdom of God.” A longer reading of the same passage (3:1-10) is proclaimed during the first week of Lent (Wednesday) and is an option for special Masses for the Remission of Sins. In addition, the end of Jonah (3:11–4:10) forms an optional First Reading for special Masses for the Evangelization of Peoples, thus reminding the Church that God’s desire for the salvation of all people was present already in the Old Covenant era. Psalm 25 is an acrostic psalm, with each successive verse—with only a few exceptions—beginning with the next letter of the Hebrew alphabet. It is primarily a lament psalm, in which the Psalmist—identified by the superscription as David—cries out to God for salvation. Nonetheless, there are also expressions of praise and confidence in this Psalm, as well as reflections on the law of God that resemble wisdom literature. It is clear that the Psalmist is in a covenant relationship with God: “All the paths of the LORD are steadfast love and faithfulness, for those who keep his covenant (Heb. berith) and his testimonies” (v. 10). This resembles St. Paul’s famous assertion: “All things work together for good to those who love the LORD,” the Latin of which gave rise to the well-known dictum, “Omnia in bonum.” In addition to berith, a number of other covenant-associated terms are employed in this psalm: hesed, steadfast love or covenant fidelity; emet, truth or faithfulness; racham, compassion, from a root related to the womb of the mother; yashar, upright. Covenant partners show these virtues toward one another. Those who are humble are taught by God. That’s the message of this psalm in this Sunday’s liturgy. The Ninevites, as well as the fishermen of Galilee, were simple common people willing to listen to God’s voice and be instructed. Pride plugs our ears. The proud cannot receive the message to repent and turn toward God. They don’t believe they need to repent. St. Paul reminds us that the time to respond to God’s call is not infinite! Christ will return. Even if he does not in our lifetime, there is that appointment with God toward which we are all heading that we call “death.” St. Paul urges detachment from the things of the world: we cannot be controlled by our relationships (“wives”), our emotions (“weeping, rejoicing”), or our possessions (“owning, using”). The importance of all these things has been radically relativized by our relationship with God, and the revelation that this world is not eternal. Heeding the call of God on our lives—in whatever form that may take—takes priority over all our other commitments, occupations, and distractions. Mark narrates everything vividly. The pace moves quickly in this short Gospel, as Mark sought to please his action-oriented Roman audience. We know from the other Gospels that there was a little more backstory to Jesus’ relationship with these four fishermen. This was not the absolute first time they had laid eyes on the teacher from Nazareth, by any means. Yet the point of Mark’s punchy narrative is correct: when the time came, this quartet of Galileans lost no time in responding to the call. Jer. 16:16 “Behold, I am sending for many fishers, says the LORD, and they shall catch them; and afterwards I will send for many hunters, and they shall hunt them from every mountain and every hill, and out of the clefts of the rocks. In the context of Jeremiah 16, this prophecy referred to judgment: God would send “fishers” and “hunters” to hunt down the rebellious Israelites who defy his word. But in its fulfillment in Christ’s ministry, the sense is switched. Now God, in Jesus, is sending out fishers and hunters to recover his people Israel as well as the nations. God’s desire to save all men, all the nations, is a strong connecting them between the First Reading and Gospel. Just as God in the Old Testament called Jonah and sent him to the Gentile Ninevites, so Jesus in the Gospel calls the Apostles so they may later be sent to the Greeks, Romans, and other Gentiles. The response of the Apostles sets an example for us. 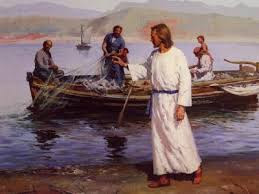 Simon and Andrew “abandoned their nets,” whereas James and John “left their father in the boat.” They gave up their profession (“nets”) and family relationships (“father”) to follow Jesus. All of us need to be ready to do that. Of course, for many of us, following Jesus might faithfully may mean doing a better job at our profession or caring more deeply for our family. So the point is not that professions or family relationships are inherently bad. It’s that nothing can take priority over obedience to God. That’s another point we should make about this passage: the divinity of Christ. It’s often said or thought that the Gospel of Mark doesn’t clearly indicate that Jesus is God, but I disagree. His divine identity is fairly clear to the sensitive reader, even and especially in the opening chapters. In Judaism, it was not ethical to give up one’s profession or abandon family relationships for anything except to study the Torah, the Law of God. Only God and his Law trump these other commitments. By calling them away from family and profession, not to study but to “follow me,” Jesus is putting himself on par with God. Rabbi Jacob Neusner recognizes this, and Benedict XVI quotes him extensively on this issue in the first volume of Jesus of Nazareth. What is Jesus calling you to abandon in order to follow him this week? For some, it may be truly dramatic, like quitting your job and entering formation for the priesthood or religious life. For others, it may mean dropping that hobby or obsession that dominates our thoughts and affections and keeps us from prayer and loving the people around us. For still others, it may mean ending a relationship that isn’t healthy and isn’t leading us toward Christ. This requires discernment, and the assistance of a spiritual director can be of great help. Most of all, we need humility to recognize where we have been sinful, where we have resisted what we know to be God’s will and word. We need to abandon that sin, re-affirm Jesus as our King, and enter his Kingdom.